Optimize the way You Sleep! 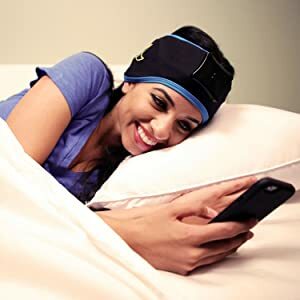 The Sleep Shepherd Blue is a comfortable, adjustable headband containing thin speakers and conductive fabric electroencephalograph (EEG) sensors. The Sleep Shepherd Blue helps you optimize your sleep patterns with a patent-pending biofeedback system using customized binaural beats and passive EEG measurements. The companion app lets you track your sleep like never before by combining brainwave data with motion and sleep orientation information to present a comprehensive assessment of last night's sleep. The app saves your sleep sessions to present daily, weekly, and monthly sleep trends. With the latest Sleep Shepherd app update, users are able to access all of their previous nights’ data as a way to track sleep over time. Users can now also receive customized tips from sleep experts based on their personal sleep data. A list of sleeping tips relevant to the user will be available within the summary page. A new achievement badge system allows the user to set and achieve specific sleep hygiene goals. The Sleep Shepherd Blue allows you to track your sleep at the source as opposed to other devices which track sleep on your wrist. By monitoring your brain, the Sleep Shepherd Blue allows you to track your sleep at the source. No more wondering if tracking sleep on your wrist is actually giving you an accurate reading (spoiler: it’s not). Along with being much more fine-tuned in analyzing your sleep, the Sleep Shepherd Blue is also able to automatically and wirelessly sync your sleep data to your smartphone. This way, you can see your progress wherever you are. Once you have your sleep stats from the app, you'll be able to see how your daily habits affect your sleep. Easy to read charts and graphs show your sleep trends over time. Once you’re equipped with knowledge about your habits, you can start changing your sleep for the better. The beauty of better sleep probably doesn’t need explaining, but among the many benefits, you will be energized to make better decisions throughout your day. Continue to improve your sleep, and you’ll be up and ready for the day, no matter what it throws at you. When you receive your Sleep Shepherd Blue, connecting to the app is quick and easy. Once you have completed the initial set up, the app will remember your unit and connect automatically in the future. In the morning, simply click 'End Sleep' while the unit is still on, and the app will begin pulling data from the Sleep Shepherd Blue unit. The plots will automatically update to give you insight into daily, weekly, and monthly sleep trends. 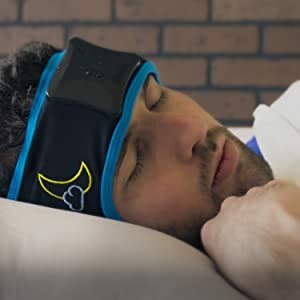 The Sleep Shepherd Blue helps you optimize your sleep patterns with a patent-pending biofeedback system using customized binaural beats and passive EEG measurements. 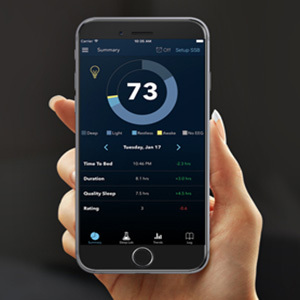 The companion app lets you track your sleep better than other products by showing you your sleep patterns and your head orientations, i.e., how much time you spend on your right side, left side, and back while sleeping. 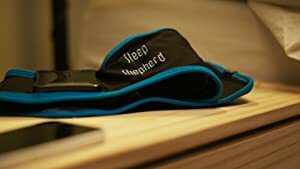 The Sleep Shepherd Blue is unique in that it works with your brain’s natural structure to slow your brain down and help optimize your sleep. 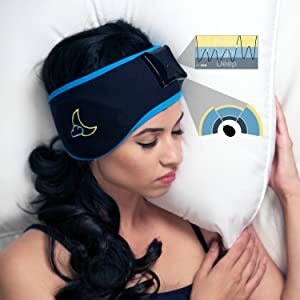 This Sleep Shepherd Blue incorporates a biofeedback system and customized binaural beats that help guide you to deep sleep using the natural workings of the brain’s auditory center.